This is one of my favorite comfort food because of the fact that I like noodles of every kind. 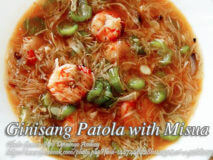 This dish is made up of.. 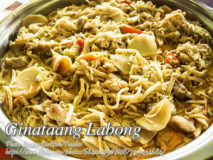 This vegetable dish is a simple to cook bamboo shoots with coconut cream. 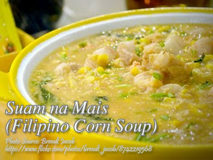 Buying fresh and good quality bamboo shoots is bit tricky because you..
Suam na mais is a Filipino corn soup cooked with sliced pork and shrimp. 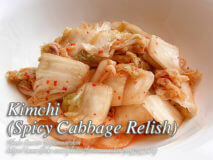 It is great to serve this as an appetizer or as..
Kimchi is a Korean relish which some Pinoys have come to love as one of their favorite appetizer. Probably you are wondering why I posted.. 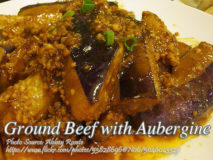 This is a simple ground beef with eggplant recipe. It’s not only simple, it also takes only a few minutes to cook it. You only..